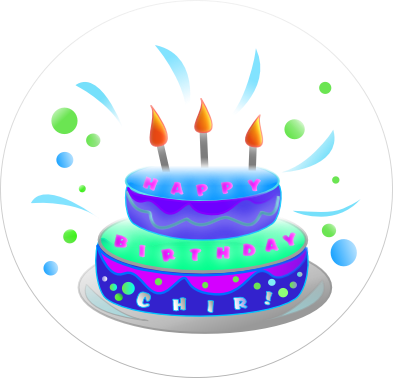 Christina, aka Chir, the author of this blog, is 22 years old today! Well, it was quite a year, in fact, as our lil friend Parker would say “It’s been a whole year since last year!” so now it’s springtime, and spring means one thing: that it’s time for Christina’s birthday. I’m sad that I cant be there, and that I’m missing out on the cupcakes. I’ll have to make some here too. Anyways, Happy Birthday Chir!! To you and your blog from all of us! What is your favorite thing about birthdays? YAY! Cake! Comments! Posts! Fav thing about Birthdays? CAKE!! !